As the Spring Showcase came to a close, Lely North America took to Facebook Live on Monday, May 15, to answer questions about labor and to reveal the winners of three Lely Luna cow brushes and one Lely Juno automatic feed pusher. Jim Hoffman of Lebanon, PA, was the grand prize winner of a brand-new Juno. Winners of a Luna included Adam Petherick of Campbellford, ON; Curtis Gomes of Tillamook, OR; and Amanda Carey of Morley, MI. See the winner announcement here from Facebook Live. The Lely Juno automatic feed pusher can be programmed to run a number of routes through your barn, day and night. By removing the need to push feed yourself, 180 man-hours a year can be used for other jobs. The Juno provides a clean feed alley and feed within reach of all cows in the barn seven days a week, 24 hours a day, leading to optimal rumen health and growth. 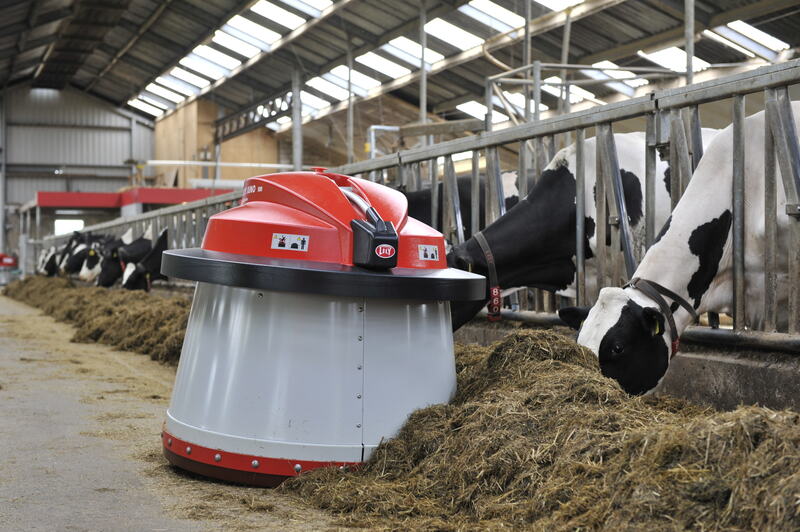 A well-fed cow with the right nutrients provides a higher milk yield and increases the number of visits to the Lely Astronaut A4 robotic milking system. With regular feed pushing, the amount of feed waste is reduced by an average of 75 percent, in turn increasing the capacity of your feed fence because feed is always within reach. The Lely Luna cow brush provides proper skin care by brushing the skin and stimulating blood circulation. This leads to not only a more relaxed cow, but also a calmer herd. As soon as a cow pushes against the brush, it starts to rotate in the opposite direction. The Luna prevents painful or irritated skin by utilizing technology that stops the brush moving if the cow pushes too hard against it. Brushing is relaxing for the cows and they will happily be brushed several times a day.